If you were not around on the 10th November 2018 at the 5th edition of Atmosphere Of Worship (AOW 2018), then you can grab this opportunity to be blessed by the awesome ministration of Sensational gospel music minister, Mercy Chinwo via the video that is now available on YouTube. Atmosphere Of Worship(AOW) is an annual worship service put together by TWC Media Ltd, owners Of Worshipculture Radio With TWC In-House worship team, Worshipculture Crew as the host. The 2018 edition of the event was testimonial worship tagged My Worship, My Testimony, to celebrate the faithfulness of God for 5 years of hosting the event. Atmosphere Of Worship 2018 videos will be released in batches, so expect more videos from now on. Ahead of the second edition of the National Gospel Concert and Music Awards slated for November 4, 2018 in Uyo the Akwa Ibom State capital, the organizers of the project have briefed the public on the coming event in a press conference held on Saturday, September 15, 2018 at Emmjm Hotel and Suites in the Uyo Metropolis. Addressing newsmen at the event, the NAGOC president, Pastor Aniekan Essien, disclosed that this year’s version of the concert awards ceremony which is tagged “Unifying Nigeria Through Gospel Art”, will be held at the E3 Event Centre, Uyo, Akwa Ibom State. Enumerating the project’s objectives to include the provision of platform for strategic interaction with performers, producers, engineers, managers and investors for rapid development of gospel music in Nigeria, among others, Aniekan Essien hinted that the 2018 edition of the event has been endorsed by the Office of the Vice President of Nigeria, Federal Ministry of Tourism, Culture and National Orientation, Christian Association of Nigeria (CAN) and the Pentecostal Fellowship of Nigeria (PFN). While assuring that the event would be an improvement on the first one in terms of audience participation, sponsorship and cash prizes to be won in each category, Pastor Aniekan Essien urged the media to accord the event the needed publicity it deserves in order to make the society a better and more productive one. Among the dignitaries that graced the occasion are: a cable network expert for Europe and CEO, Dr. Gift MacDunhill; the General Overseer of Word Tabernacle Church, Bishop Gabriel Nkanang; a budding gospel artiste, Pst. Bobby Frigga; a gospel artiste, Mrs. Uduak Akpan; word artistes, and a host of other important participants at the event. 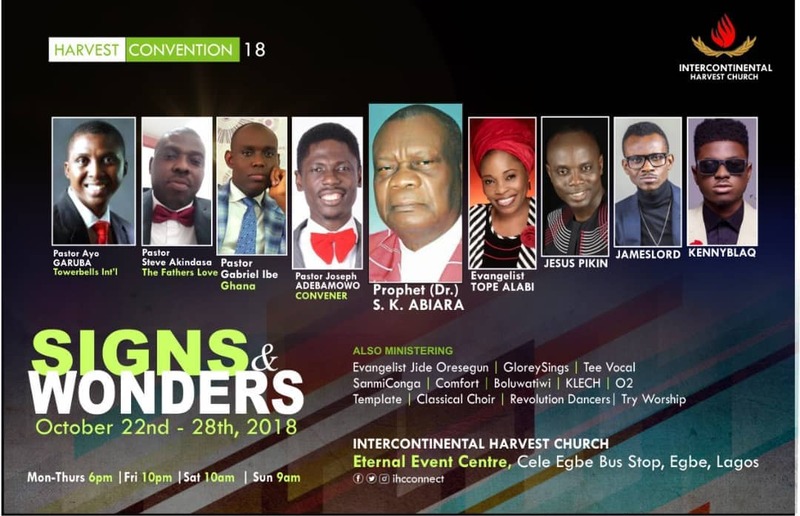 Intercontinental Harvest Church presents the maiden edition of her annual HARVEST CONVENTION. The HARVEST CONVENTION 2018 will be happening from the Sunday 21st to Sunday 28th of October 2018 and will be featuring Pst Joseph Adebamowo (Lead Ambassador, IHC), Prophet Dr S.K Abiara (CAC, Agbala Itura Worldwide), Pst Steve Akindasa (The Fathers Love, Nigeria), Pst Gabriel Ibe (Ghana) and Pst Ayo Garuba (Tower bells Intl). Also featuring in the HARVEST CONVENTION 2018 will be Tope Alabi, Jesuspikin, JamesLord, Kenny Blaq, Teevocal, Boluwatiwi, O2, Klech, The Template and a host of other great artistes. The program is scheduled to hold at the church premises at Eternal Event Center, Cele Egbe bus stop, Egbe Lagos. The programme schedule is as follows Monday 22nd Oct : 6pm Tuesday 23rd Oct : 6pm Wednesday 24th Oct : 6pm Thursday 25th Oct : 6pm Friday 26th Oct : 10pm Saturday 27th Oct ( Medical Outreach) : 11am Sunday 28th Oct: 9am Intercontinental Harvest Church, is an end-time church laden with the God-given vision to “Raise Global Ambassadors”, and has her headquarters in Lagos Nigeria. The Church been Led by Pst Joseph Adebamowo was planted in October 2017 and has since then experienced massive growth due to her ability to focus on raising true and disciplined disciples after the likeness of Christ. The Judges for the event include – Sophie (an award-winning OAP with CoolFM Kano), Elsam (a gospel recording artist), Emmykeeys (Music Director and gospel artist), and faculties include Dr. Sirme (an award-winning music producer), Victoria Cousin (Music Director and gospel singer), Themmy (Gospel Music director and Leader of SSS worship team). Pastor Cousin Victory (Visioneer – Potterhouse Family Choir) and Dr. Emamoke Atima (Gospel Music Minster with TOD choir) will serve as guest Judge and guest Faculty respectively. Aboki the Area Fada (Award-winning compere and OAP with Wazobia FM) will be the host for the event. Pursuant to the overriding vision of preserving the destinies of youth from decadence through church-based programmes, the leadership of the Youth Alive Fellowship under the presidency of Dcn Shofela Shodunke in the year 2007, was saddled with the responsibility of engineering specialized programmes that will enable youths to realize and maximize their potentials in God. While still brooding over this noble idea and believing God for specific direction, it was observed in 2008 that the secular world was providing platforms like the Nigerian Idol and Project Fame for young people to express their talents but was to the detriment of the Kingdom where those talents came from. At that point, it became imperative that we have a kingdom response, however little, to counter the trend. 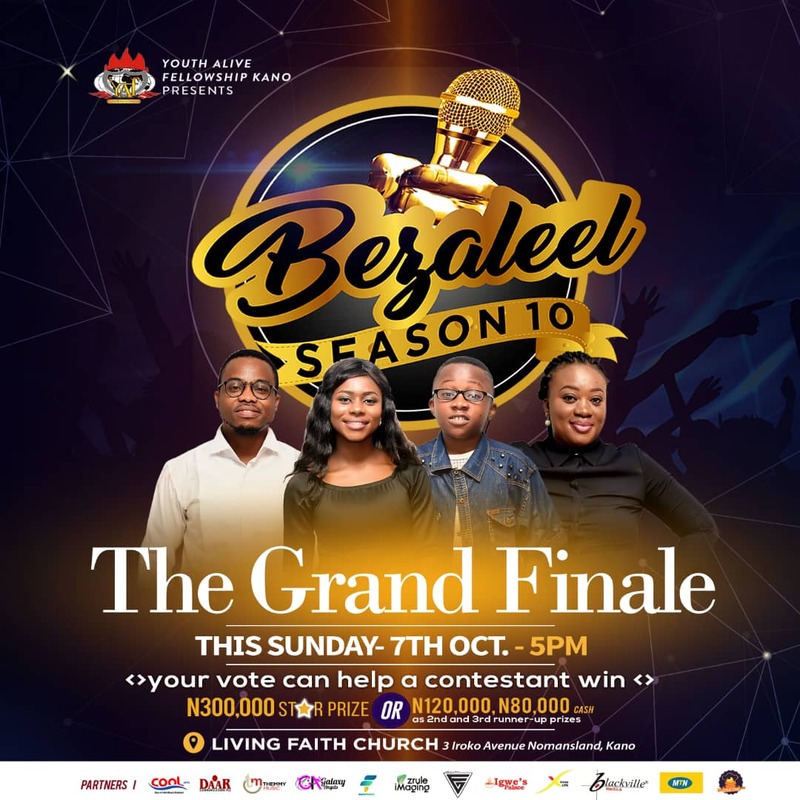 Several brainstorming sessions involving great minds like were held and the largest gospel music talent hunt in northern Nigeria – Bezaleel Gospel Music Talent hunt was birthed. The Grand prize is N300,000 and 120,000 and 80,000 naira for 1st and 2nd runner-ups respectively, without mouth-watering consolation prizes and record deals. 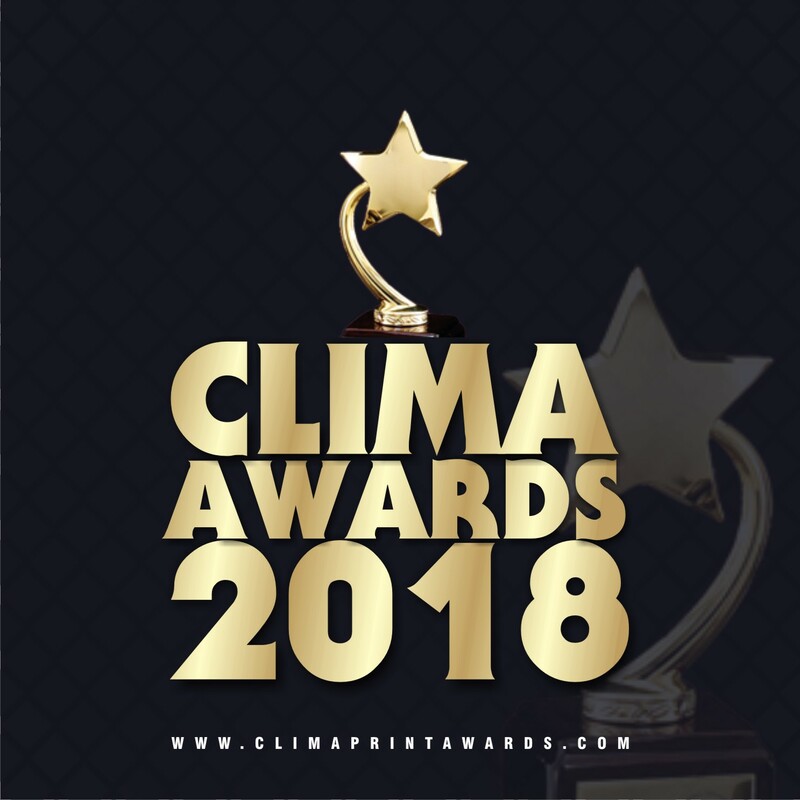 Finally the nominee list for CLIMA Awards 2018 is out. 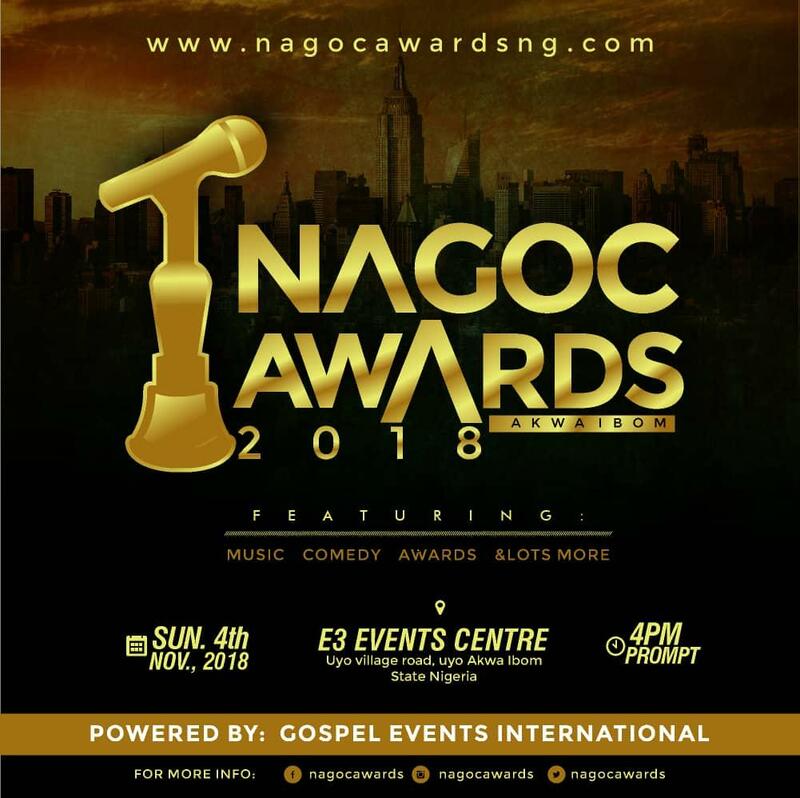 The award has 16 categories of honorary recipients which are not to be voted for and 9 categories dedicated entirely to celebrate Nigerian Gospel Music Ministers. In these categories are; ARTIST OF THE YEAR and SONG OF THE YEAR AWards respectively. This category of 9 will be opened for voting from Tuesday the 10th of July. c. Esther Yafanda – Ondo. 1st of May rings a bell; not because it is Workers’ Day, but because it is another time with ELIC [EmmyKokz Live In Concert]! The gospel Afro-beats master, EmmyKokz and a host of other gospel artistes will be hitting you like never before in this Third Season of the annual event tagged “WE ARE ONE”! Its last year’s edition was explicitly awesome with the likes of E-Daniels, Timi Toba, Vicky Tee, Chosen Generation Dancers and others who kept the congregants drenched through an unending praise. Nevertheless, ELIC 3 promises to be ‘back-to-back’ in one accord. 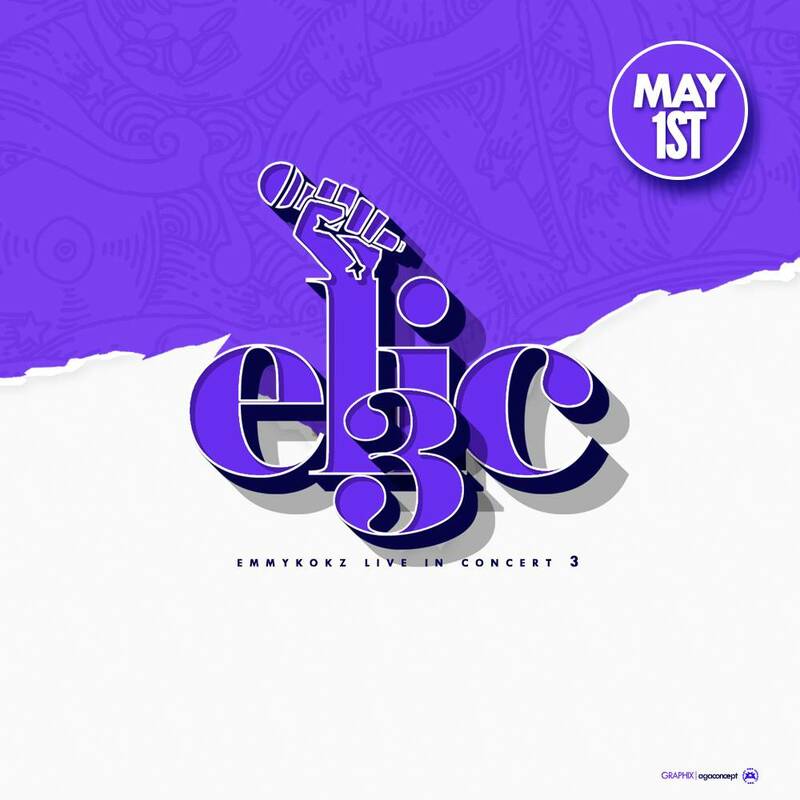 ELIC 3 is slated for 1st of May at GoodLife Christian Centre, Kubwa in Abuja. Its Red carpet session will be for 3:00pm and the main event by 4:00pm. Ministering at ELIC 3 will be Pastor Damian Ogar, Su Town All Starz, Simnyz, Seed of David, Omo Rose, Debby Great, One Good Family, Mawziz, and others. It’s going to be massive; it’s going to be non-stop; it is going to be awesome. All for God. All to God. All with God. 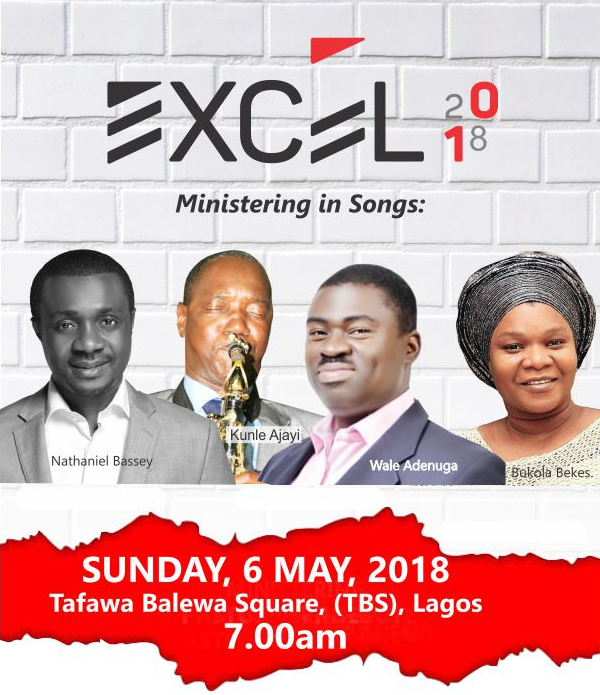 Gospel Event: BeejaySaxLive 2018 Artiste LineUp Unveiled. 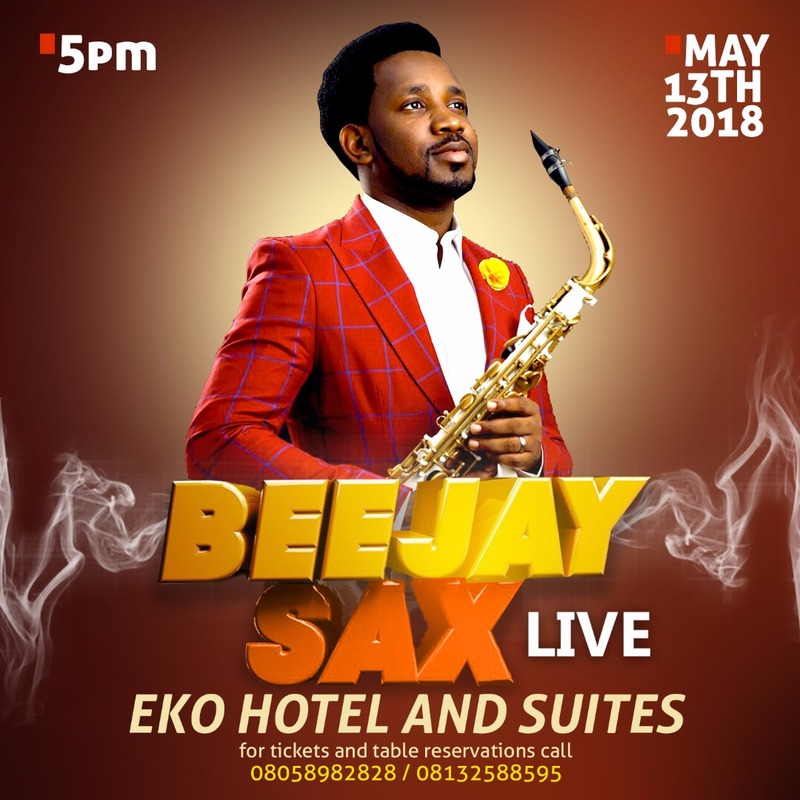 Ahead of the historic event, BeejaySaxLive concert happening May 2018 in Lagos. Beejay Sax has unveiled the list of artistes who will be ministering at the exquisite event. Profound acts such as Bidemi Olaoba, Onos, Tosin Bee, Frank Edwards, Nathaniel Bassey, Tim Godfrey, Bolaji Olarenwaju (Big B), Bukola Bekes, Femi Okunuga, Moses Onofeghara (MOZ), Odunayo Aboderin and Laolu Gbenjo, will grace the event. 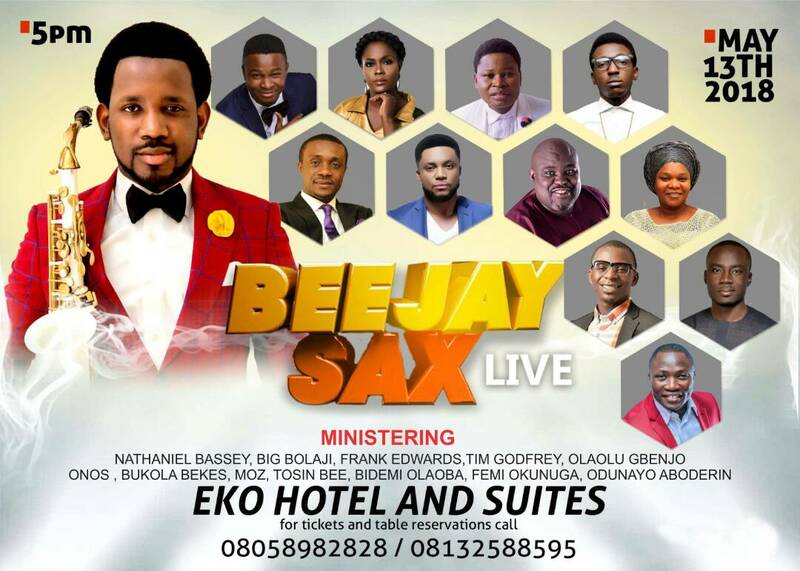 BeejaySaxLive is one event you can not afford to miss. 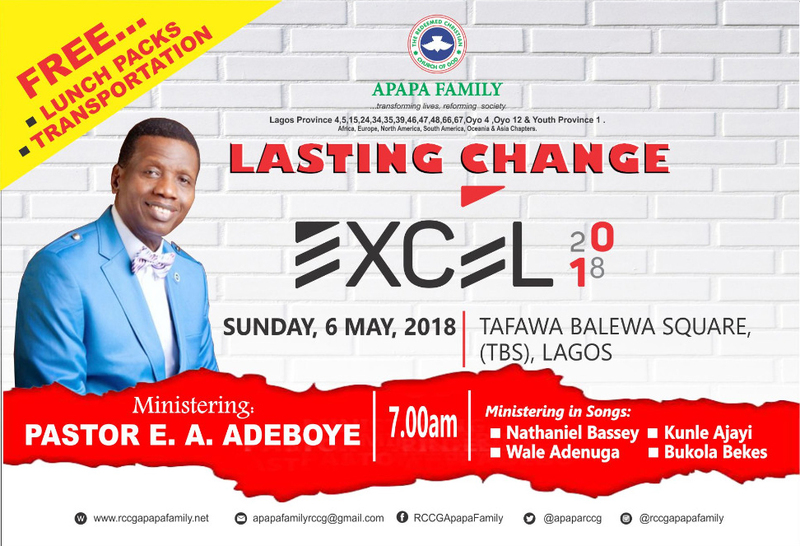 The Redeemed Christian Church of God, Region 20 Apapa Family presents her annual conventionExcel2018. One of the purpose of the event is to gather people from all spheres of life to worship and praise the God who has made usExcel in life. Music by: Nathaniel Bassey, Wale Adenuga, BukolaBekes&KunleAjayi. The program which has been running since 2015 has been a tremendous blessing to the participants who travel far and wide to be part of it. It’s a gathering for both young and old to worship the almighty God. 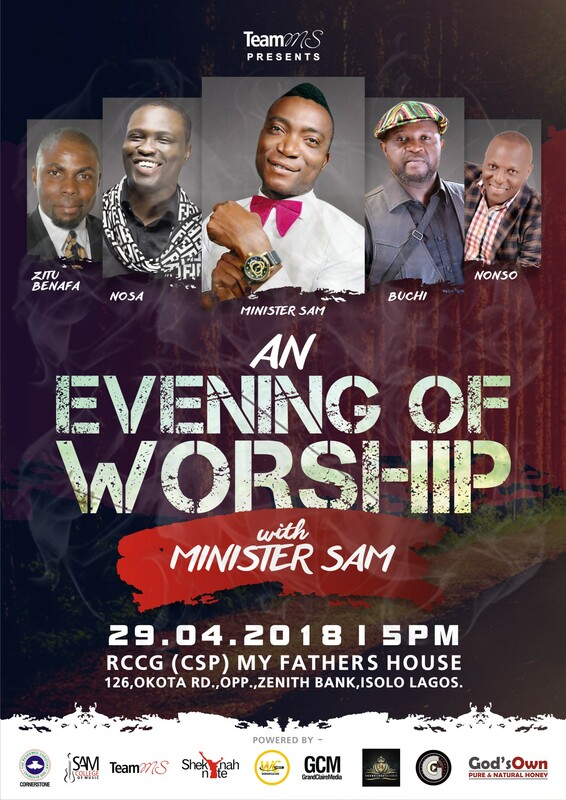 Ministering along the convener, Minister Sam are; Gospel reggae crooner, Buchi, Nosa, Zitu Benefa and Worshipculture Charismatic singer and Pastor, Nonso. Following the huge success with the 2017 edition, Bolaji Banjoko popularly known as Beejay Sax has tipped off that the 2018 phenomenal Event will be an evening of premium entertainment for the spirit, soul, and body while advocating that attendants will experience God in a new way. Date: Sunday, 13th May 2018.